The axillary, cervical, cubital, inguinal, lumbar, and popliteal lymph nodes, the right and left lymphatic ducts, the thoracic duct, the cisterna chyli, Peyer’s patches, the spleen, the thymus, and the red bone marrow. The cardiovascular system, quiz 1 - Test your knowledge of the anatomy of the other part of the circulatory system. The heart, quiz 1 - Learn the anatomy of the heart. 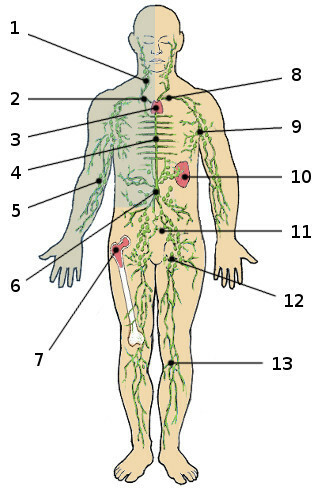 General physiology, quiz 1 - Find out how much you know about how the body works.